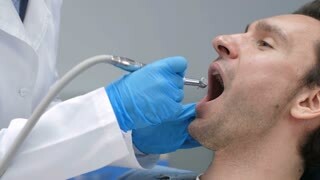 Search Results for "dental drill"
Young adult male patient in dental chair getting teeth treatment in dental clinic. Female dentist in labcoat, gloves and face mask treating client's tooth decay with dental drill machine. Close up teeth polishing procedure. Dentist hands working with dental high speed drill. Modern cosmetic dentistry. Professional removing plaque from teeth in dental office. Close-up male patient's portrait and dentist's hands in gloves with drill machine starting dental treatment in dental clinic. Young client receiving treatment for cavities. Placing Dental Drill Head into Cleaner. a dental technician places a dental drill piece into a sterilization machine for cleaning. Dentist drill teeth clinic client to install dental fillings. stomatologist, dentist treats teeth of the young client's dental dental drill. Dental treatment in the dental clinic. Close-up of the treatment procedures in the dental clinic. stomatologist, dentist treats teeth of the young client's dental dental drill. 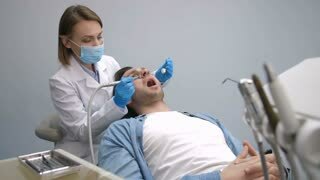 Dental treatment in the dental clinic. The dental prosthesis is put in the patient's jaw in the clinic for dental treatment. Dental dental drill in the work. Treatment of caries. Dental diseases, their treatment as a dentist in the dental office. 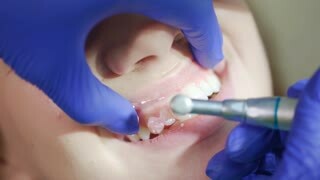 The process of dental treatment in the private office of a dentist and assistant. Dental dental drill in the work. Treatment of caries. Dental diseases, their treatment as a dentist in the dental office. 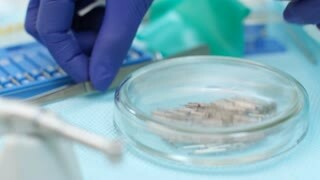 Doctor and nurse in a medical office treat patients with diseased teeth. Dental dental drill in the work. Treatment of caries. Dental diseases, their treatment as a dentist in the dental office. Dentist drilled a hole in the tooth fillings to install treatment of caries. Dental office. Doctor, dentist treats dental clinic. Dental drill machine in operation, treats teeth. Nurse Assistant helps the doctor to do the work. The dentist in blue sterile gloves prepares a dental instrument before working with a young patient. Close-up. Dentist's hands with blue gloves working with dental drill in dental office. 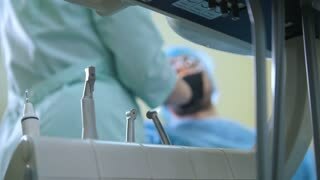 Tools and supplies for dentistry during hospital treatment. Dental dental drill in the work. Treatment of caries. 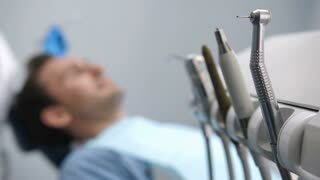 Dental diseases, their treatment as a dentist in the dental office. Doctor dentist moves to a console with a tool for dental treatment. Dental office. Doctor, dentist treats dental clinic. Dental drill machine in operation, treats teeth. Nurse Assistant helps the doctor to do the work. 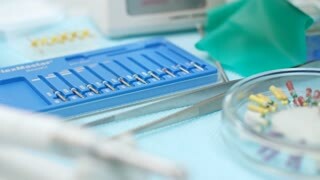 Overview of dental equipment in the office for dental treatment. Dental office, medical equipment, dental drill. Everything is ready for the reception patsienta. Doctor dentist carries out patient treatment in the clinic is not in focus. Treatment of dental caries. The nurse assists the dentist. Dental dental drill in the work. Sealing of the tooth, a dental clinic. Overview of dental equipment in the office for dental treatment. Medical equipment, dental drill. Preparing to receive the patient. Doctor and nurse assistant treat the patient in hospital office dolly shot. Dental office. Doctor, dentist treats dental clinic. Dental drill machine in operation, treats teeth. Nurse Assistant helps the doctor to do the work. Doctor dentist conducts intervention in the oral cavity of the patient medical cabinets. Dental office. Doctor, dentist treats dental clinic. Dental drill machine in operation, treats teeth. Nurse Assistant helps the doctor to do the work. Drill dental drilling machine gradually removes the excess layer of enamel from the tooth surface for gluing crowns. Manufacturer new perfect smile. Dental Clinic. 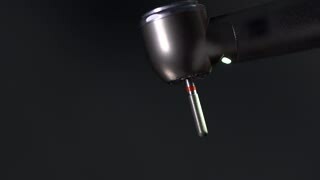 Close up shot of the dental drill, which demonstrating in action. 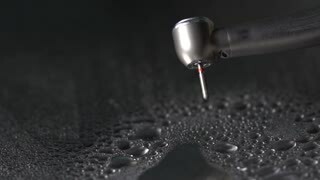 Close up shot of the dental drill, it is use for drilling and grinding of teeth. Dental drill handles the tooth surface , flushing after drilling. Modern medicine Cabinet with innovative equipment.